Tina Ingraham’s study of Renaissance painting and fresco is evident in her warm palette, fascination with surface and vivid perception of light’s effect on nature. She is a recipient of many awards, including grants from the Guggenheim Foundation and Maine Commission for the Arts and has taught in a variety of teaching environments including Bowdoin College, Stephens College, and workshops in Italy, Colorado and Maine. 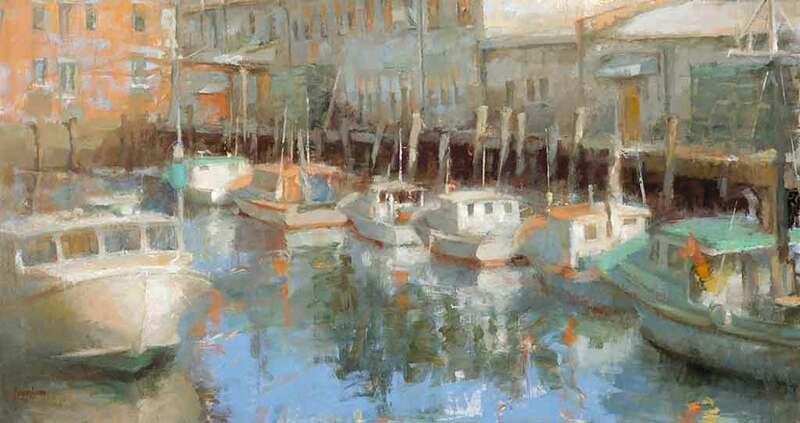 Her work is exhibited at Greenhut Galleries, Somerville Manning Gallery and Boston Art, Inc. Check News and Press here.